Four thousand square feet. Steps from Union Market. 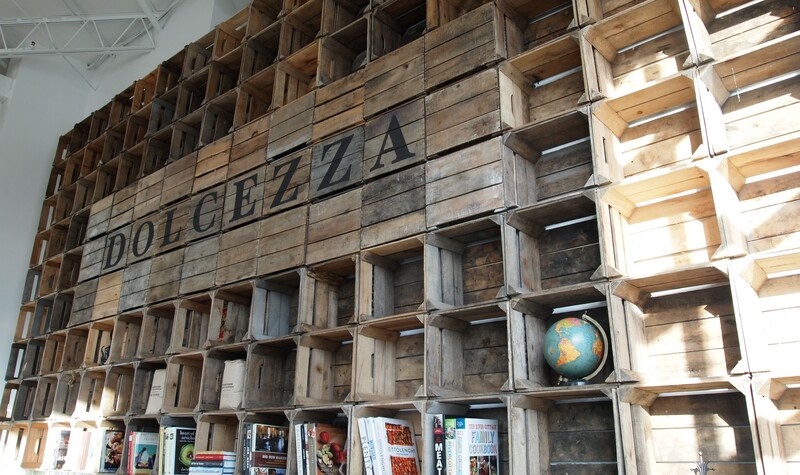 Dolcezza is opening a beautifully designed nest for conjuring state-of-the-art gelato and brewing delicious coffees. Although the space does not officially open until March 2014, when it will be available for retail, tastings, tours and private events, the grand opening took place on December 7. The original factory of 900 square feet has ballooned into a mammoth, yet detailed, lab that will leave a mark on the DC food scene. Bright, rustic design, high ceilings, great music, bacon gelato (!) – in partnership with Red Apron Butcher – and at least four different coffees from esteemed Stumptown, masterfully brewed in a small army of Chemex brewers. Gelatarians and coffee people from all over DC mingled and celebrated this ingenious addition to the neighborhood. Come spring, one can only imagine the flavors that will come out of this experiment.